This chart reflects how long you can expect your wine to last. These are guidelines only. 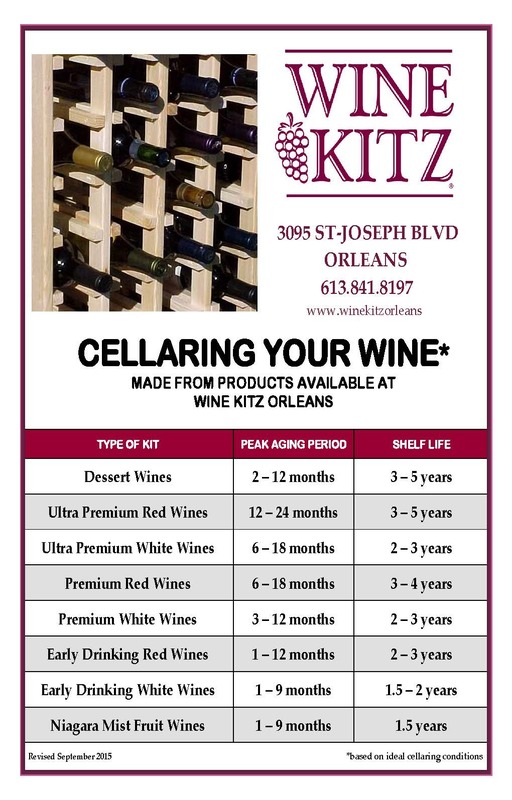 We have many customers who have cellared their Wine Kitz wines for more than 10 years with great success. 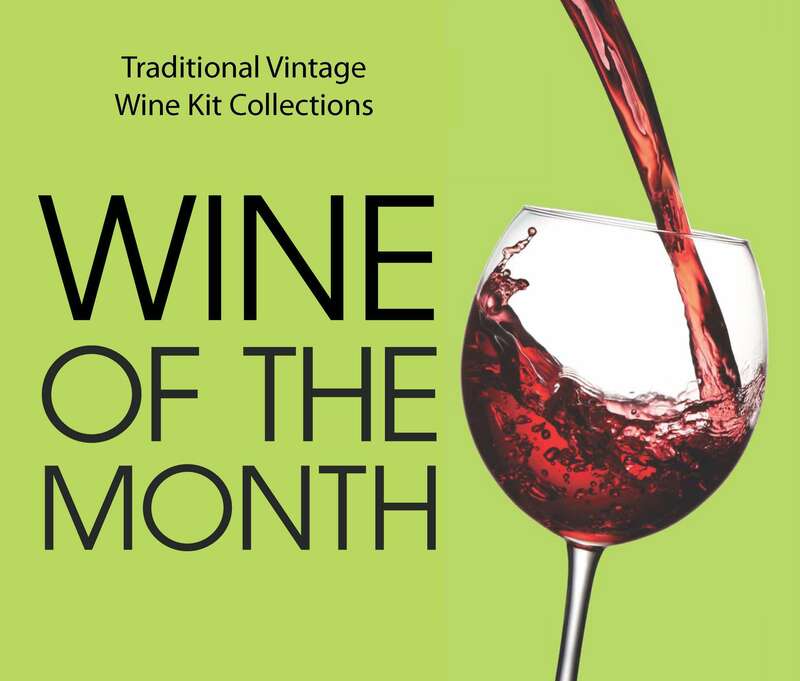 Cellar your wine on its side in the coolest, quietest, darkest place available in your home. The warmer the environment the faster your wine will age. Temperature fluctuations of more than 10°F / 6°C can spoil wine, so find a place that has a consistent temperature and humidity level.